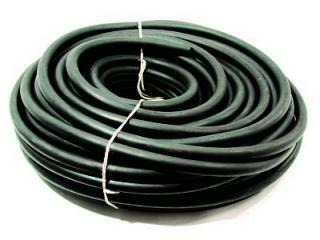 Natural Road tube is made from 100% Isoprene rubber. This makes a road tube that is flexible and soft but durable. In colder climates this helps the tube stay soft and usable. In warmer climates it may become too soft in which case we recommend the EPDM synthetic road tube instead. The natural road tube is cured using an Autoclave curing process to make it more rigid and ruggedized but it still maintains its natural stretchy feel and elasticity. No wax or powder is used in curing for a clean and smooth finish. The inside is free from foreign material providing a unobstructed tubing for trouble free use.